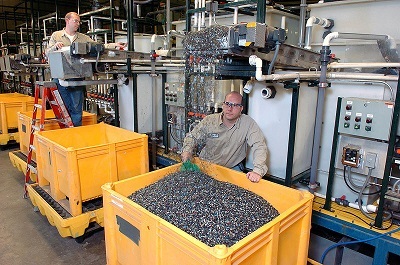 The plastic recycling business is a helpful contributor to maintaining a clean environment. Plastic itself is very lightweight and has many diverse uses. It has the advantage of being relatively versatile and inexpensive and can be used in the manufacture of safe, durable products for sectors like food packaging and medical tools and accessories. While the plastic recycling business is involved in the elimination and reproduction of plastic waste, all plastic is not easily recyclable and, despite considerable attention to the issue, not all consumers are aware of local recycling codes and protocols. Consequently, only a relatively small percentage of plastic waste collected and recycled over time. So what happens to plastic that isn’t being recycled? Much of it is landfill-bound if it is added to the conventional trash removal process and much becomes litter, often found on beaches and in the ocean itself. Until fairly recently, the main obstacle to consumer recycling has been a limited number of collection sites and lack of awareness as to their location and to the recycling requirements themselves. This is changing now that local and state governments have defined the parameters more definitively, with collection containers exclusively for plastics and other recyclables now a part of the pick-up process at every home and business. Additionally, the plastic recycling business is thriving, as new processes in many cases have made recycling more cost-effective than using virgin resin alone. This will continue to make an impact in reducing litter and waste. Environmentalists who decry the use of plastics need to be aware that the material is not going anywhere soon. It’s much too ubiquitous, with uses in almost every facet of daily life. It’s generally more inexpensive, practical, safe and, in a growing number of situations, fairly easy to recycle. The good news for environmentalists is that a constant stream of new additives and polymers are constantly being developed. This includes degradable plastics that will eventually go a long way in reducing long-standing environmental concerns. Additionally, the major chemical companies, along with their manufacturing innovations are now getting involved with environmental projects to reduce some of the litter that now exits. The plastic recycling business, government oversight, consumer awareness major innovations from manufacturers are all slowly, but surely leading the way to a cleaner and safer environment.